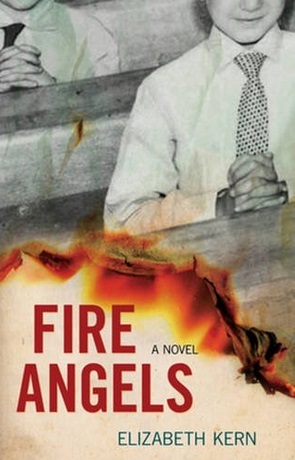 Fire Angels by Elizabeth Kern will touch your soul with its grace, its grit, and its gravitas. It’s a tragic story of a fire that took place at the Our Lady of the Angels school in Chicago on December 1, 1958, and resulted in the deaths of 92 children and three nuns. Kern guides her narrative through the viewpoints of a janitor, teachers, survivors and their families, church leaders, firemen, the suspected arsonist, and his parents. But the most unique and powerful voice is that of Fire itself, a lofty and sardonic protagonist if ever there was one. Giving a voice to an element is a unique approach and one that the author accomplishes brilliantly. It never comes off as contrived. Instead, in her capable hands, we are given a unique, original perspective into this sad time in Chicago’s history. This book isn’t just a mere retelling but is instead a reawakening. We think back to how different it was in America in the 1950s. A simpler time? Perhaps. But also a naïve time for this typical Midwest neighborhood. No one thought anything of 65 kids in a classroom. No one gave any thought to the danger of a school gate chained closed, of windows that were hard to open, of the lack of escape routes. These days, we might think of fire safety as a bunch of red tape or a lot of building regulations, but events like these were precursors to the precautions we take today. We learned the hard way. Once I read Fire Angels, its power and humanity remained with me as I reflected on the lives of those who lived it, of those who didn’t survive, and of those who were touched by it. In her writing, Elizabeth Kern eloquently demonstrates the kindness, tenderness, and sympathy that come out of a great tragedy. Janet Rene Snyder resides among the redwoods of Mendocino County, California, with her husband Steve and Zoey, their yellow Labrador. When she’s not sneaking up on a blank page, she delights in time with her son and two granddaughters, morning walks, music, movies, and a good read. She’s putting the finishing touches on Living the Turtle Life, her debut book about the first year of the ten that she and Steve lived on the road. I started to read Fire Angels by Elizabeth Kern, but put the book down when the opening pages began with the point of view of fire, proving I am a point of view snob. A few days later, I felt I could handle reading fire’s pov, so I picked the book up and started reading. I could not put the book down. I read it in two days. I know authors sometimes spend ten years writing a book, so it might be insulting to hear it took only two days to read and absorb their work. On the other hand, it might be flattering to hear it was a page turner. Kudos to Kern for writing such a riveting story and for being brave with her pov decision. Her expert writing makes it work. More kudos for taking a true story and turning it into a credible fictional account. How did she do that!!?? Voluminous research, I’m sure. She could write this story because (I imagine) she has a big heart and so much compassion. Thank you, Elizabeth, for writing such a compelling story. I already have plans to loan my copy and to buy more books so others can read this important story.